But what are you complaining about? You’re just the imaginary blog reader I made up in my head! Really, though, I have begun to suspect that nobody else is reading these posts, even the few who occasionally did so in the past. But hey, whatever. They help me keep track of things, which is maybe all that matters. And it’s not like there’s a lot more to report. 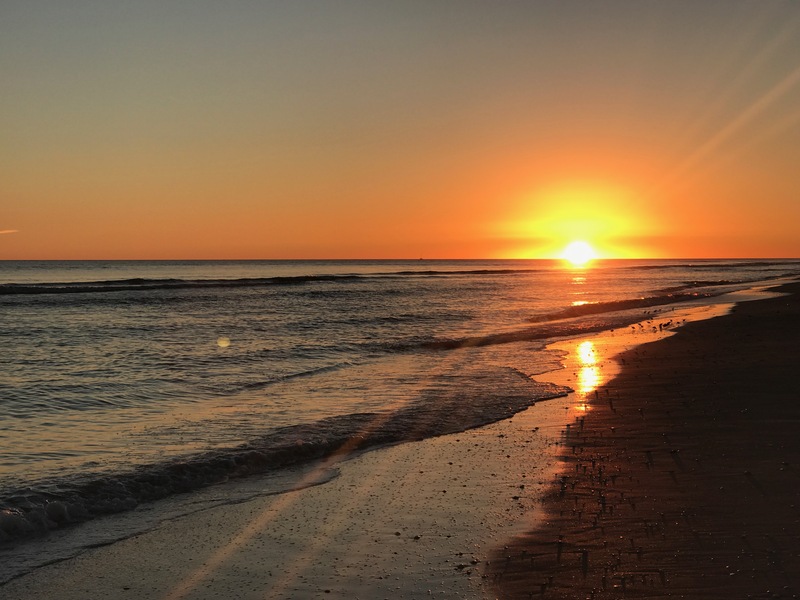 I spent the last couple of days of January (and the first couple of February) down on Sanibel Island in Florida — which is where the photo above comes from — but otherwise it was a pretty uneventful month. I mean, for the day to day, my Twitter feed is the better place to go. Here’s just where I keep track of the stories, books, movies, and music I encountered in the month. So let’s get on with that, shall we, gentle (and likely nonexistent) reader? I finished two books in January, both of which I really liked: Babylon’s Ashes by James S.A. Corey and The Sorcerer of the Wildeeps by Kai Ashante Wilson. The former was the latest book in the Expanse series, which I believe I am physically incapable of not reading as soon as each new book is published, and the latter was a novella I read for my (now regular) book club. I don’t have a huge amount to say about either book — you should have joined my book club if you wanted lengthy discussion — but I did enjoy them. Black Mass is kind of like Okayfellas. The Birds has some very good moments and some very good shots, but I don't think it's a very good movie. I can't claim that Bringing Out the Dead is close to my favorite Scorcese movie, but damn the man is a natural filmmaker. The Visit is never very good, but it floats along making you think it might get good, and then it gets very bad. Tony Curtis and Burt Lancaster are both really good. It's not like I've never been disappointed in Gilliam, but The Brothers Grimm is the first of his movies I've kind of hated. I don't want to say Solaris is slow, but there were a couple of minutes when I thought I'd pressed pause on my remote but hadn't. I almost want there to be a Now You See Me 3 just to see how insultingly ridiculous they can get. Oh, and also because Lizzy Caplan is cute. Bridge of Spies: Hanks and Rylance are good, but the movie is too long and Spielberg at his most dutiful. I’m still reading. It’s just that I don’t have much of anything to say. Other than that the first Now You See Me was plenty enough insultingly ridiculous for me. And yeah, I don’t recommend either Now You Can See Me movie, Lizzy Caplan notwithstanding. They’re both pretty terrible.